Here’s something cool. 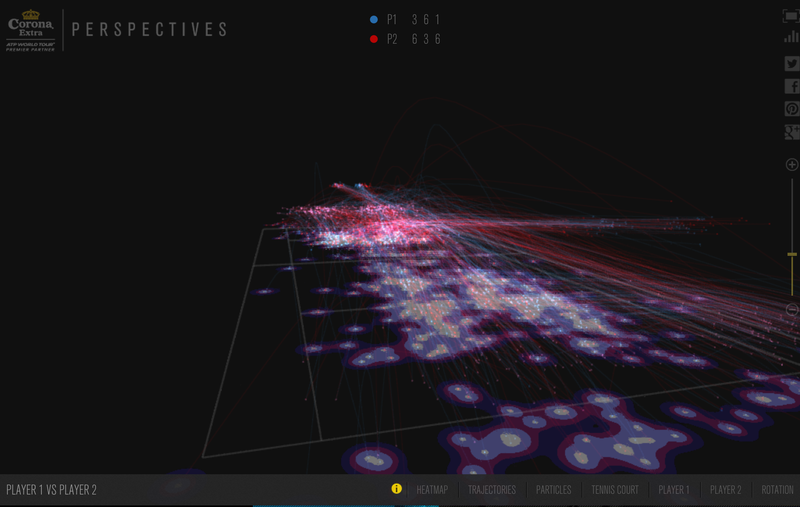 A studio called JWT Spain made a 3D app that tracks the trajectories of every ball hit in a tennis match in real time, and then spits out fancy visualizations. There’s a heatmap that shows where the most balls land; trajectories of the ball for every set, game and point; a particle view that shows where the balls have the most impact; and options to control the opacity of the court, the color of the ball trajectories for each player, and how fast the court rotates. It can be filtered by set, game, or point.